The Solar Suite is a lab automation platform for IVD instruments. It offers an array of powerful modules that transform routine procedures and create an effective workflow. Designing tailor-made OEM & ODM products which automate lab procedures is our core area of expertise. Repado's portfolio extends from developing easy-to-use editors to complex solutions and instrument controlling as well as testing & validation services. Repado has developed a product portfolio designed to meet the medical industry demands. Our solutions cover different business aspects, from day-to-day lab processes of diverse complexity to remote interaction with designated devices. For more information please visit the products section. Our highly-qualified developing team, identifies market needs and provides custom software solutions, which simplify complex procedures and automate everyday routines. Based on our vast experience, we cover a wide range of solutions from simple GUI editors and functional enhancement of existing software, to solutions supporting multi-scheduling tasks. We are experienced in integrating any instrument/ device into larger scale information systems. We can help you integrate and interact with Lab Information Systems (LIS) in order to automate certain routines, e.g. retrieving worklists, exchanging data, controlling tests etc. by covering a variety of data formats. Highly experienced in automation, we can help you design your data configuration and build a software around it. As a result, users will be able to easily define and configure your instrument. We keep applications simple and put the emphasis on powerful features which distinguish you from competition. Repado understands the unique requirements of OEM partners. Our quality management system and extensive R&D experience enable us to develop innovative, high quality software products for the Medical Diagnostic Industry. As a Repado OEM partner, you are able to integrate our technology into your own products and services. Our development team will provide you with tailor-made software, whose features and functionality will enable your customers achieve maximum value. Investing in product development is crucial to business growth and profitability. Repado's extensive experience in software development makes the company an ideal Original Design Manufacturer. As such, Repado will design & manufacture a product which eventually will be owned and branded by its client. Our partners gain competitive advantage on the market through high-quality, consistent and well-engineered technology that can be built in order to meet their specific needs. 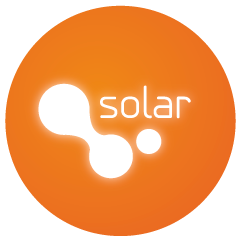 The Solar Suite is a lab automation software platform that can be integrated with any IVD instrument. It comprises powerful modules that, either combined or stand alone, can transform routine procedures and create an effective workflow. Its development is in strict alignment with ISO 13485 guidelines. OEMs can opt for any module combination, adapting an innovative & cost-effective solution to their own specific needs. PCR Setup: The Polymerase Chain Reaction (PCR) technique, as means of DNA amplification, is a basic component of modern research labs. Its applications are widespread over many scientific disciplines, including molecular biology, genetics, clinical diagnostics, forensics and environmental science, among others. The sensitivity of the method requires precise handling in order to minimize its unique deficiency: susceptibility to contamination. The Solar PCR Setup is a powerful module able to perform multiple mastermix preparations for multiple assays. It is a flexible and user-friendly system designed for a wide range of PCR types and protocols. Nucleic Acid Extraction: The extraction and purification of Nucleic Acids are commonly used techniques for analytical, diagnostic and preparative biotechnology processes. Different methods are developed to extract both genomic and viral Nucleic Acid from diverse sample matrices and result in different yields and purity of DNA. The Solar Nucleic Acid Extraction module involves a range of automation procedures that support various kits and customized purification protocols in order to transform a sample to fit the requirements of the analytical technique selected to be used. Sample Preparation: As the number of samples increases, clinical laboratories aim at maximizing the throughput while ensuring highest quality of results. For this reason, there is a significant need for automated sample preparation. This Solar module achieves full automation on all sample preparation steps. It can be customized to provide the sample preparation technique which fits user needs. Solar Sample Preparation offers data driven support and optimizes procedures to maximum sample throughput. Serial Dilution involves reducing concentration of an active source substance. It is performed by serially diluting the source from higher to lower concentration in order to make it practicable for ingredient preparation or experiments. This is useful in medical applications where compounds/ samples are stored in higher concentrations. The Solar Serial Dilution module enables the user to define individual concentration ratios per dilution step. Hit-Picking (or cherry-picking) enables laboratories to quickly carry out a great number of tests e.g. biochemical, pharmacological, genetic tests etc. This procedure aliquots or rearranges sources from different labware. When performed manually, hit-picking is time-consuming and very intensive. The Solar Hit Picking module offers a fully automated user-friendly solution, guiding the user through setup preparation in few simple steps. Normalization: In certain automated processes, source substance amounts must be equalized among wells to optimize test accuracy. Normalization involves calculating the amount of diluent to be diluted in each individual sample/compound as to achieve identical final concentration across samples. The Solar Normalization module will offer accurate and consistent concentrations throughout the sample group. Reformatting is commonly used to transfer samples from tubes to microplates or to reformat sample/compound plates making them suitable for applications in medical diagnostics industry. Solar Reformatting offers a flexible user interface with several formatting possibilities, such as replication, custom mapping, plate compression or expansion from 96-, 384-, and 1.536-well microplates, sample pooling etc. Assay Reading: The Assay Reading module is a tailor-made software solution designed to perform automatic reading, analysis and interpretation of fluorescent and colorimetric MicroArray diagnostic tests. Through this module it is possible to integrate diverse types of analysis software & obtain detailed reports, while workflow integration and interaction with Laboratory Information Management Systems is available according to user specifications. Live Tracker of Machines is a machine-to-machine powerful application which enables remote interaction with diverse medical devices and instruments. One of the major cost drivers in the medical industry is the field service visits required to deal with major software and/or hardware malfunctions. LTM is designed for the Lab Automation industry aiming in enhancing streamline operations and uptime, while reducing total cost of ownership. With LTM technology, the user is able to remotely interact with all devices installed on field and benefits from the ability to diagnose problems and take remedial actions through a management console. Τhe LTM Dashboard is the main application of the LTM Suite where medical devices are monitored under one unique layout. With two levels of operation: “Compact” & “Detailed”, the user has access to the operational details of the devices and to a powerful service toolkit. The mobile application is an intuitive end-user tool designed for remote monitoring of running lab processes. “Compact” and “Detailed” views allow status updates, information on elapsed time/ sub-steps etc. history data and error reports. The LTM WebPortal is the web-based environment of the LTM Suite. Mainly, it provides access to the specific tools required for field support and service activities on customer premises and configuration of the LTM’s access management system. Detailed list of all connected devices assigned per Lab/ Customer. Simultaneous monitoring of multiple devices with real-time display of device-status. Complete records of device activities with download options. Descriptive real-time reporting of process substeps and errors. Push notifications for run issues or user comments. Immediate access to the device log files with download options. Direct two-way communication with customer via a multimedia messaging platform. Remote Desktop for Live connection to the remote device pc and Live access to the device connected camera. Logging and full trace of service and maintenance events. increase through Service Margins, Operation efficiency & lower costs of Service. increase in service Revenue terms, Contract renewals & Customer Satisfaction. increase through collaboration technologies using web and mobile applications. reduction in Mean-Time-To-Repair of a reported issue. reduction on the basis of Field Service Visit costs. reduction regarding unscheduled medical device downtime. Cleis is a tailor-made software solution designed to perform automatic reading, analysis and interpretation of CLART-based diagnostic tests. The application is built on a user-friendly and intuitive graphical interface. Detection and analysis of micro spots by CLEIS is performed immediately after developing a specific precipitation staining pattern on the chip. Developing this pattern generates a dot micromatrix (microarray) that can be detected and analyzed by CLEIS. User defined export and backup paths. Three complimentary reports per sample. CLEISplus is a software platform capable of controlling a fully automated electromedical device, starting from the denatured amplification product, and ending with issuance of the corresponding diagnostic report. Through an intuitive GUI, CLEISplus allows the user to program several ways of running samples while providing a step by step tracking of the overall process. CLEISplus, though a unique user inteface, interacts transparently with the underlying components i.e. liquid handler instrument, imaging device and CLART® platform, while preserving the ease of the plug and play system. Lirix 3.0 is a modular software package with a multi-level architecture that is ideal for start/stop routine processing, quick-start programming and fully supports even the most challenging pipetting applications. Lirix 3.0 is strictly sample-oriented and provides application specialists with a comprehensive library of actions for pipetting, barcode reading, plate handling, incubation, etc. Lirix 3.0 provides a complete data management system including result and run log files. The interface for host communication allows the download of worklists and the upload of results. The Lirix 3.0 software package is written in MS C++ and MS VB. Programming interface SAX Basic engine (macro language, fully compatible to MS VBA) is embedded in Lirix. All user interfaces are designed to the user friendly "MS-Outlook" style. Autrax software is a dynamic application dedicated to nucleic acid extraction and reagent preparation. Integrated into the automated workstation of Liferiver, Autrax software is developed to ensure test consistency and reliability in nucleic acid extraction and purification as well as in PCR mastermix preparation procedures through a precision pipetting system. A user-friendly interface guides the operator through a simplified one click start-up procedure which requires no manual intervention once it starts. Running processes are monitored locally through real-time status tracking. More importantly, in case of an error Autrax is designed to send a descriptive error notification to the designated technical personnel via SMS service. The Autrax application is developed in .NET framework and supports multilingual features while the graphic user interface adapts customer's philosophy. Repado offers a diverse and complete line of services. In terms of Software Development, Complete Solutions concerning business-critical custom applications are developed and implemented while Outsourcing Software Development guarantees that high-quality specialized software development services are rendered to our clients. Testing & Validating integrate processes during all project phases to ensure that the products will fulfill their designated use while conforming to highest international standards & safety requirements. By using our vast experience in medical contexts, our customers benefit from Consultancy services that accurately respond to their individual needs. Repado is a certified software development provider for the medical industry. Designing tailor-made medical device modules and platforms which transform lab activities is one of our core areas of expertise. We have extensive experience in developing solutions suited to the needs of this demanding and safety-intensive sector. Repado's full cycle software solutions cover everything from designing simple GUI editors, functional enhancement of existing software, solutions supporting multi-scheduling tasks to consultation, testing & validation services. Outsourcing software development is currently considered an upcoming trend in the Medical sector. If key factors are evaluated correctly, it can be proven a highly successful practice. Offshore development facilitates proper allocation of internal resources while obtaining a high-quality software product at basic cost and competitive time. By using Repado as your trusted partner you can enjoy a complete range of specialized software development services to help keep all your processes up to the highest standards. Consultancy services throughout the development process. Our consultancy services work in harmony with and do not create limitations for internal development teams. Our specialist teams, with their vast experience in medical contexts, will promptly respond to specific client needs. Testing and software validation guidance after project completion. Reliability is an absolute necessity. Focusing on the case of medical software, safety becomes even more a vital need. Repado's processes integrate prestigious international standards to safeguard reliable operation and outstanding quality of products. Throughout the development process, all stages and phases are dealt with, separately or linearly, according to your needs. Our organization is awarded the ISO 13485, an internationally acknowledged Quality Standard, with primary objective the facilitation of harmonized medical device regulatory requirements for Quality Management Systems. Our Quality Management Systems and our Risk Management processes fully comply with IEC 62304 which defines principles of software development & maintenance, configuration management, risk management, verification, and validation. Our organization is ISO 9001:2015 certified for Software development and Implementation. Repado has also attained "Microsoft Silver Partner" status and holds the Application Development competency. Repado has been awarded the "Crédit d'Impôt Recherche" (CIR) Αccreditation as a Research & Development entity with documented originality & innovation for the three-year period of 2015-2017. Our organization has been awarded by the European Commission, the SEAL OF EXCELLENCE Certificate, in regards to the LTM Project that was evaluated under the EU Horizon 2020 framework program. ISO 13485, awarded to Repado, is an internationally acknowledged Quality Standard. It's primary objective is the facilitation of harmonized medical device regulatory requirements for Quality Management Systems. ISO 13485 is consistent with the European Medical Device Directives 93/42/EEC, 90/385/EEC and 98/79/EC and in line with the U.S. Food and Drug Administration's (FDA) QSR standards, as well as with the medical device standards and guidelines as set by the Global Harmonization Task Force (GHTF). Software modules have acquired an increasingly important role in the provision of Healthcare and in the evolution of medical methods and protocols. According to the latest amendment of the MDD (2007/47/EC), which covers all areas relevant to medical devices including risk and quality management, "Standalone software is considered to be an active medical device", a statement which makes the ISO certification fundamental for software development and implementation companies. ISO 13485 focuses on crucial aspects of software life cycle, such as risk management during the development procedure, validation/verification and product traceability. ISO 13485 is currently considered a model standard for the Medical Industry and is recognized by major markets around the world. Our Development & Implementation processes fully comply with IEC 62304. IEC 62304 Quality Management System (QMS) assessment defines the principles of software development & maintenance, configuration management, risk management, verification, and validation. ISO 13485, awarded to Repado, is considered an essential QMS for obtaining IEC 62304 compliance as it sets the requirements for design and development validation. Our risk management processes are also compliant to ISO 14971, as required by IEC 62304. ISO 9001:2015 is a standard that defines the criteria for a Quality Management System. This certification is widely used for attaining an effective application system that will enhance customer satisfaction and aims in continual improvement of business efficiency through applicable statutory and regulatory requirements. This standard is based on a number of quality management principles which include strong customer focus, top management involvement, motivation, process and system approach to management, decision making, building mutually beneficial relationships and emphasis on continual improvement. The ISO 9001:2008 embedded in Repado's procedures ensures that the products and services rendered consistently meet customers' requirements, and guarantees its solid commitment on improved performance and high quality standards. Repado has attained the status of Microsoft Silver Partner and holds the Application Development competency. To grant Microsoft Silver Competency, Microsoft labs test and certify the prospective partner's major software packages and require customer references as to measure successful implementation and customer satisfaction levels. Being a Microsoft Silver Partner differentiates Repado as a trusted expert. We have developed and deployed a variety of commercial or custom-made applications built using core Microsoft technologies.Our software engineers have documented experience and know-how in all Microsoft software applications and tools, such as Visual Studio .net, WPF, MVVM, Composite Architecture, SQL Server, etc. The Application Development Competency grants access to a comprehensive set of benefits. Boosting customer productivity and profitability through smart business applications, implementing advanced web portals and rich user interfaces that run on premises or in the cloud, are only some of the competitive advantages Repado offers its clients. Repado has obtained the "Crédit d'Impôt Recherche" (CIR) Accreditation as a Research & Development entity with documented originality & innovation. The CIR Accreditation has been awarded to Repado by the French Ministry for National, Higher Education & Research (MENESR) for the three-year period of 2015-2017. The French Research & Development tax credit initiative (CIR) gives eligible research-based French companies, subject to corporate tax in France, the ability to claim tax relief on costs generated in R&D activities committed to a CIR accredited company. The CIR is based on the claimed volume of R&D expenditures and it is equal to 30 % of R&D expenditures up to EUR 100 million; different rates are applicable beyond this threshold. The tax benefit allows the growth of businesses competitiveness by favoring research and development. The R&D activities must match the international definition and are divided into Basic Research, Applied Research and Experimental development. The CIR Accreditation awarded to Repado entitles our partners, current and prospective, to benefit from a 30% tax credit upon R&D expenditures outsourced to Repado. Further details on "Research Tax Credit" French policy, procedures required for obtaining tax credit, eligibility of R&D expenses and tax credit calculations can be found on the French Ministry of Higher Education and Research official website. We are proud to announce that Repado has been awarded the SEAL OF EXCELLENCE Certificate, in regards to the LTM Project that was evaluated under the EU Horizon 2020 framework program. The "Seal of Excellence" quality label is awarded by the European Commission, to innovative projects submitted under Horizon 2020 that received high assessment scores in a highly competitive evaluation process and by an international panel of independent experts. The certificate is awarded to the projects evaluated as meriting funding (above threshold) that did not receive funding due to Horizon 2020 budgetary constraints. The LTM Project submitted within the SME instrument has exceeded all evaluation thresholds of Phase2, dedicated to innovation projects underpinned by a solid and strategic business plan and evaluated against three defined criteria: excellence, impact and quality & efficiency of implementation. The "Seal of Excellence" certificate is a label of a high-quality project proposal accredited to facilitate approaching alternative funding sources (regional, national, private or public). The Certificate offers a unique opportunity for regions and Member States (and any other interested actor) to fully exploit the high-quality Horizon 2020 evaluation process: to easily identify and possibly support high-impact proposals coming from promising innovative companies, with an ambition to grow and compete internationally. Our full cycle software solutions cover everything from designing simple GUI editors, functional enhancement of existing software, solutions supporting multi-scheduling tasks to consultation, testing & validation services. Our mission is to help our clients build safe and competitive products, improve their processes and excel in their field. Above all, we want to make a difference to the way our clients deliver results by supplying them with innovative software. Based on this mission, we value strict quality assurance and the streamlining of laboratory processes from onsite applications to remote monitoring. Our teams are driven by a sense of responsibility towards medical contexts, the love for technology and a workplace which favors communication and constant improvement. Copyright © 2019 repado - all rights reserved.